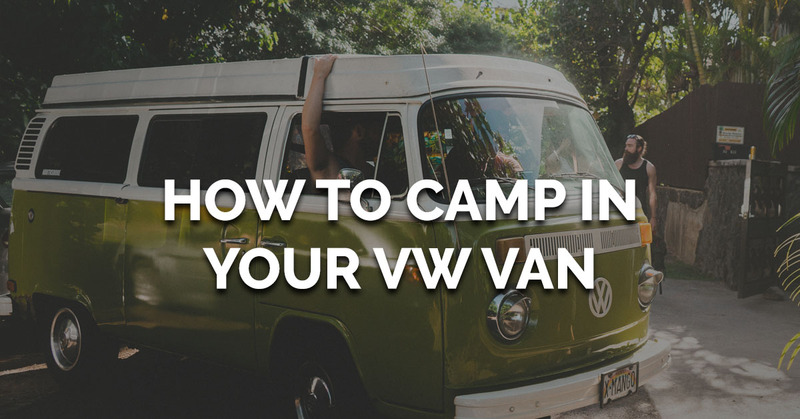 Camping in Your VW…All Year Long! Do you want to take your love of camping into the winter months? Your VW camper van is the perfect vehicle for braving the chill of the Colorado mountains. A few tips will help keep you warm and comfortable as you explore the wonder of camping in the winter. Just imagine waking up and cross-country skiing or snowshoeing out of your van into the wilderness! And if you encounter any problems with your vehicle, we specialize in German auto repair in Denver and can help you resolve any issues you may have! Wait, what? Yes, keeping a window cracked in your VW van can avoid having condensation build up inside. This moisture build-up actually makes you colder; so crack a window and get warm! If you have a fabric pop-top on your VW van, once it is opened, you will definitely feel a draft. Insulating the fabric with some inexpensive foil insulation is a great way to minimize the cold. Simply cut to size, and affix with velcro around your fabric pop-top to warm up your van and keep you cozy through the night. It is winter; it is going to be cold! Bringing the right gear can make all of the difference in your comfort level. A warm sleeping bag, slippers or warm socks, functional outdoor gear, and even a hot water bottle all will keep you toasty and comfortable inside your van as the temperatures dip outside. When batteries are cold, they require more energy to work. Heaters create a large draw on battery power, so make sure to charge your auxiliary batteries often. If you are using gas heat, only propane will not freeze in winter temperatures. Other gasses and mixes will freeze, so stay away in the winter! Make sure you double check your water lines and storage tanks on your VW van. Many times the waste water tank is exposed to the cold at the bottom of your van. Simply leave the drain pipe open with a bucket underneath to avoid this problem! Get out of the van! Yes, we are helping you keep your van functional and warm, but who camps to just stay in their tent? Think of your VW van as your base camp for adventure! The winter months offer an uncrowded peek into some of Colorado’s treasures. Imagine hiking the Rocky Mountains without another person in sight and the whole landscape blanketed in snow… are you getting your van ready yet? A warm meal is a lifesaver when winter camping. You won’t always want to be inside your camper, so bring a portable grill to make hot meals outside when you return from your adventures. A portable camp toilet can be a lifesaver. Enough said. What are you waiting for? With the right tools, camping in the winter in your VW van can be wonderful. If you run into any issues while winter camping in Colorado, we specialize in German auto repair in Denver and will be happy to get you back on the road and into nature!